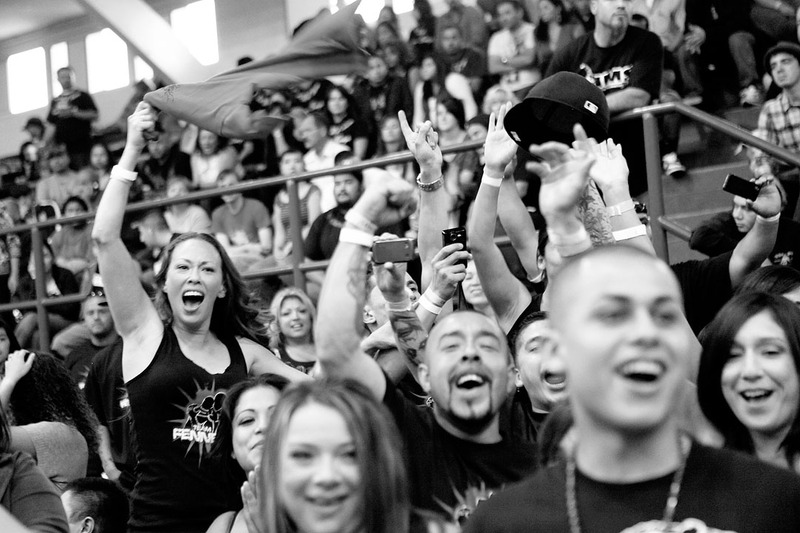 Local fans of Richard Fennel scream as he makes his entrance in the Central Coast Throwdown at Palma High School. The private high school was the site of the first three MMA events in Salinas, but recently withdrew its offer to host the fights. David Sullivan, Palma principal and a professed MMA fan, said he received enough complaints about the events to reconsider the money they were bringing in from the sold out events.